"The reigning royalty of rockabilly have returned, back in all their evil glory. To clarify though, “rockabilly” is just the general genre, The Raymens’ music orbits around a bigger universe of psychobilly, sleezeabilly, dark country, cow-punkabilly and Iggy-ish slam-glamabilly. Their new EP release, Death’s Black Train, is but a tasty appeteaser to whet your appetite for their upcoming spring album, Sinister Funtime. The track, “Flame On Famous Flame” is from that release and “When Death’s Black Train Is Coming Down” is an alternative take from the album version. “Living In the City of the Living Dead” and the exceptional “Weird Generation” are worth the price of admission alone. The last cut, “Long Tall Shadow with Fire Eyes,” was written after an afternoon commiserating with pal Rudi Protrudi over the tragic news of the death of Lux Interior. After a day of hefting a few long-necks to his memory, Hank picked up his guitar later that evening and this came out. It’s an exclusive to this release. Rayman ringleader, Hank Ray, lead singer-songwriter and band standard-bearer, growls menace with his wolfman baritone and is in fine, ferocious fettle here and the band lays down some explosive riffs throughout. 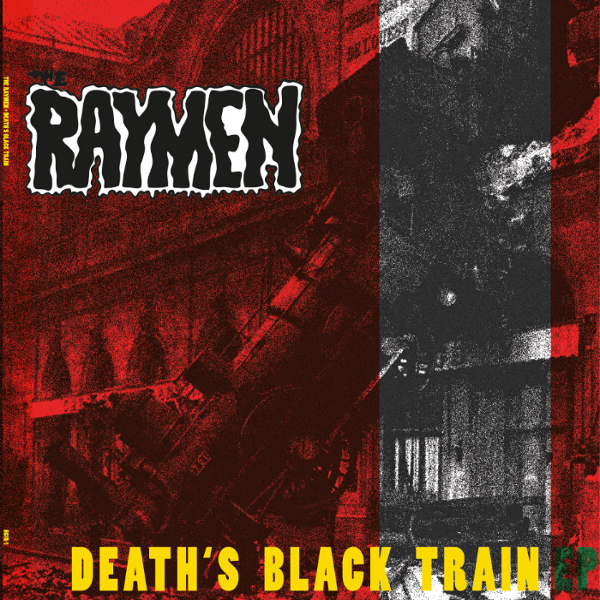 "DEATH'S BLACK TRAIN" is available on vinyl with 300 copies total, among them two different SPECIAL EDITIONS that are limited to 25 and 50 copies, respectively. Check it out and order your copy from Hound Gawd! Records today! First come, first served - Get it while you can! This page has been viewed 10,689 times.